Winter time is the exact time when you want to bake with heart and soul. 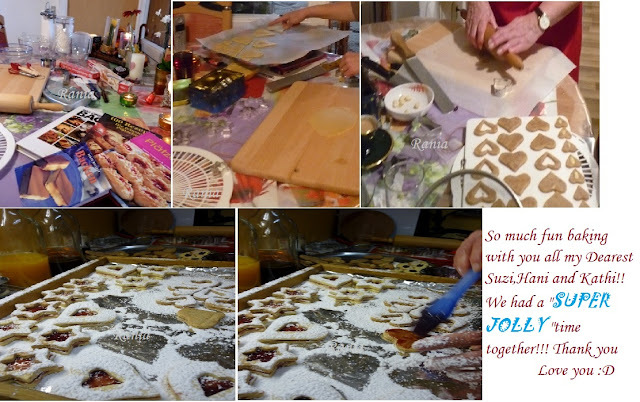 And I am so passionate about baking biscuits in winter, the aroma spread in the whole house, the atmosphere, the preparing of dough and the best part I love is the shapes of the cookies!! It is such a genuine hand work art, different shapes not so perfect rounds : ) This IS the real fun, It is simply indescribable…. I would like to thank my lovely friends and my sweet daughter for making the day a memorable one!! Thank you Susanne, Katharina and Hani darling!! !